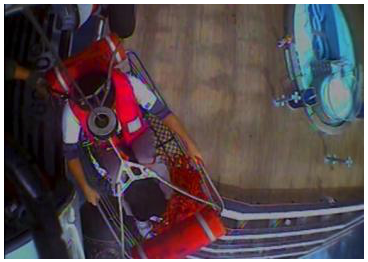 An MH-60 Jayhawk helicopter crew from Air Station Elizabeth City hoisted the man from the ship along with a nurse, and transported them to Vidant Medical Center in Greenville. "Effective coordination among crews at Sector North Carolina, Air Station Elizabeth City, the Coast Guard 5th District and the Carnival Pride placed this man in the hands of medical professionals as quickly as possible," said Senior Chief Petty Officer Aaron Wohlander, Sector North Carolina command duty officer for the case. "Our thoughts are with the patient and his family this evening, wishing him a full recovery." Coast Guard, partner agencies rescue man from water near Edgemere, Md.